Goodbye Oregon. Hello Idaho. How would you like your potatoes? A nice 64-mile run today (a “short day” we now call it) with beautiful weather through lush agricultural fields, featuring everything from potatoes to onions to asparagus to lettuce to the largest field of mint I’ve ever smelled. Slightly uphill throughout the day — Ontario is 2,150 feet and Boise is 2,730. We were all motivated to arrive and savor a day off tomorrow. I was especially motivated as I knew Suellen would be waiting for me — so motivated, in fact, that I was the first to finish the route. We’re in potato country now. Since its humble origins in Peru, the potato has been so successful that you have to ask: are we cultivating the potato or is it cultivating us? This lowly tuber has convinced us to propagate it to virtually every agricultural region in the world. Despite the fact that it wasn’t known outside the Americas until the Spanish conquest, the potato is now the world’s fourth largest food crop — following rice, wheat, and corn. The Spaniards introduced the potato to Europe around 1580. (What did they eat before then?) The Basques adopted it from the Spaniards when they realized that it was the perfect food for their long-distance cod fishing voyages. The Basques usually stopped in Ireland to dry their catch and introduced the potato to the Irish. 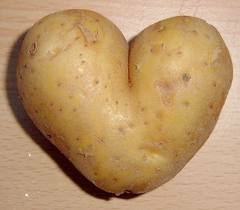 Unfortunately, the Spaniards only introduced a few of the 5,000 varieties of potatoes to Europe. So when the potato blight hit Ireland (and later, Sweden) there were no varieties with natural immunities. The entire crop was destroyed and people either starved or migrated. Ireland and Sweden lost people; Boston and Minnesota gained them. It’s a good lesson in the need for genetic diversity. So what happened to the Basques? A bunch of them landed right here in the Boise area, drawn by the agricultural and herding opportunities in the area. Boise has a thriving Basque-American population anchored by the Basque Museum and Cultural Center (http://www.basquemuseum.com/). Boise State University recently started a Basque Studies program (to complement its football team) and Boise has America’s only Basque language pre-school, the Boiseko Ikatsola (http://www.boisekoikastola.org/). This may be the best place in America to learn the Basque language, dances, cooking, and culture. That seems like a nice reason to come back to a beautiful town. This entry was posted in The Ride, Uncategorized. Bookmark the permalink.